Reading.... 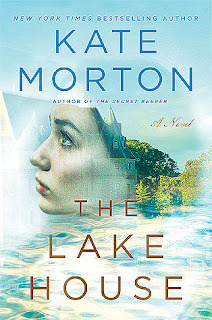 I just started the book my bookclub at school picked, The Lake House by Kate Morton. I'm not too far into it as of yet. But I have a feeling I'm going to really enjoy it. So far I'm 12 books into my reading challenge on Goodreads. Not too bad for it being April. I'm pretty positive I will surpass my goal for the year AND reach, if not surpass my 100 book reading goal for my 28th year. Feeling.... a little bit anxious. Jenny and I had a conversation on our way to Waco about me living by myself and it really got me thinking about this next stage of life. I am so excited to live alone but at the same time I'm worried that I'll get TOO comfortable being alone all the time. I'm gonna have to make a very conscious effort to get out of the house and actually do things and not just sit on my couch and watch Bravo all weekend. Which lets be real, will happen fairly frequently. So yeah. Watching.... The Real Housewives of Dallas. I'm still not sure how I feel about it yet. I Brandi and Stephanie annoying, but still watchable. Leanne wants so badly to be in Dallas society but she somehow falls short, even though she's a big name in the Dallas charity world. But how in the world do you make any money just working for charities? Plus I don't feel like these women are anywhere rich enough for the Housewives franchise. I know that sounds weird but when you compare them to say New York or Beverly Hills none of them are any where near as glamorous as them. But I'll keep watching if only because their drama is so eye rolling and I can't stay away. Loving.... the ladder I picked up at Harp Design Co. when Jenny and I went to Waco last Thursday. It is going to look perfect in the new apartment. I just have to decided where I want it to go! Wishing.... It was summer time. That unexpected week off was VERY nice and made me wish that we always had a second break in the Spring. But at the same time it was kinda a tease since we are so close to summer vacation. Thinking about.... Our DC hotel! We will be staying at The Virginian Suites in Arlington. It is directly across the street from Arlington National Cemetery and is very close to all the other major attractions in the city right across from the Potomac River. BAH! Just typing out those words makes me that much more exited about our trip. Looking forward too.... MAY! A trip to Florida is coming up and so is the end of the school year! 26 school days to be exact! Wanting.... all the makeup!! I have been obsessed with watching makeup tutorials lately and all I want are new makeup brushes, new foundation, new setting powder, new lipstick...like I said... ALL THE MAKEUP!!! See?! Blegh. So yes, contouring needs to come into my life like woah. And so far my favorite tutorial comes from Meg O. on the Go! She has the easiest way of explaining how to contour and is hilarious in all her tutorial videos. So if you too are trying to up your makeup game go check out her videos. They're the bomb. 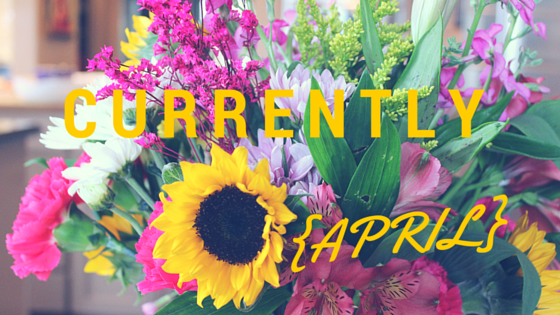 Can y'all believe April is almost over?! Where oh where is time going. I agree with you about Real Housewives of Dallas. I feel like the only one I like is Cary really at this point. LeeAnne is too much for me. Trying WAYYYYYY too hard. And I've heard from my friend who lives in Dallas that they don't live in the MEGA rich area of Dallas, so you're right about that. I LOVE Meg's posts on makeup, she's seriously my makeup guru girlfriend knows her makeup and always has me running to the store to pick up whatever she talks about. I never knew how important contouring and highlighting is! I completely agree with you on RHOD, those ladies are def not as rich as the other shows in the franchise. They almost seem like the Real Housewives of the has-been's! I'm glad that you're liking The Lake House so far, especially since you thought that it might not necessarily be one that you would like. And hooray for beating reading goals too! Once you start watching beauty tutorials and wanting all the makeup and tools, it becomes a very expensive, but fun habit. You need to sign up for Sephora VIB! You are adorable! 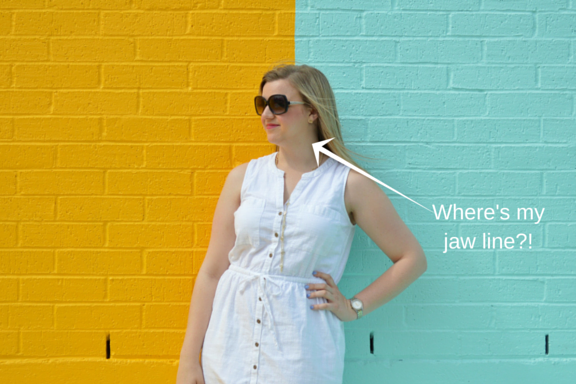 I love your color wall photo shoot! P.S. I'm not so great at contouring either lol. 1. I am jealous of your reading progression. 2. REAL HOUSEWIVES OF DALLAS. We need to talk about this. It's on our "to talk about" list for our next phone call. Someone needs to tell Leanne that her blush game is horribly wrong. eh, i don't know how to contour either lol. and um don't worry about living on your own and getting too comfortable, enjoy it because one day you won't! i wish i had lived alone, if only for a few months or a year. sigh. can't change it now! hey i am reading that book too! or rather, listening to it. it definitely has not grabbed me yet but i am excited that you think you're gonna like it because i was feeling meh about it. i'm only at the super super beginning though so it was hard to tell anyway.